Bring in your panels or shop from our large selection here. We will discuss ways to turn your panel into a finished quilt or wall hanging. 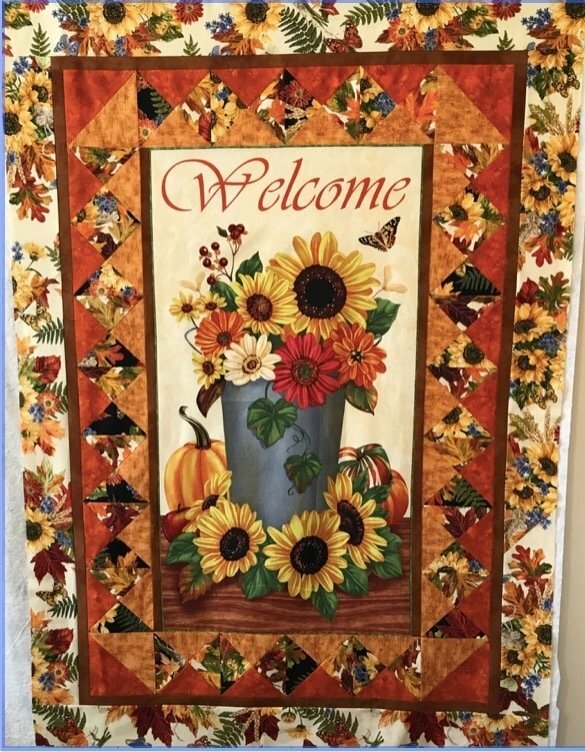 Topics include what to add for piecing and borders, desired finished size, ideas for color choices to go with the panel and final quilting ideas. This is perfect for beginners or anyone who wants to put together a beautiful quilt in a short time! There will be time to come up with a plan and begin working on your quilt. You may then finish on your own or come back to one of our class labs to finish in a supportive atmosphere.